"I'm visiting from Osaka. I have a store there that I'm shopping for." 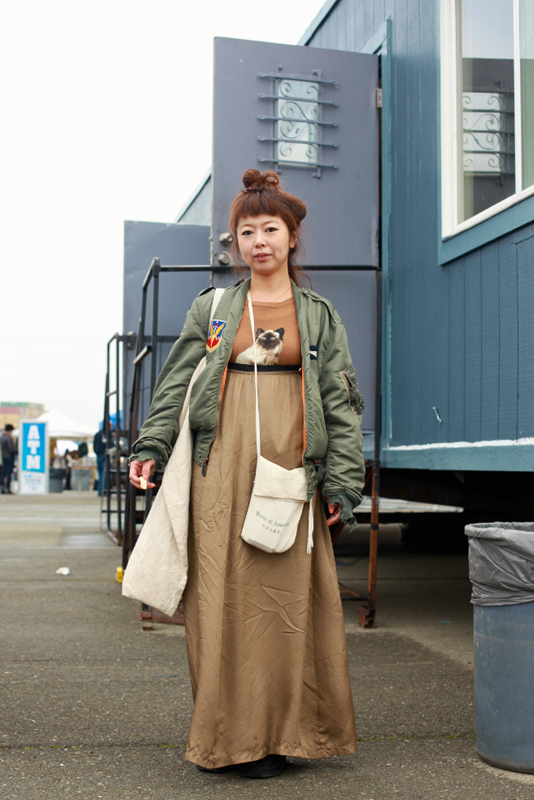 Flight jacket paired with kitty sweater and long silk skirt? Yes!! 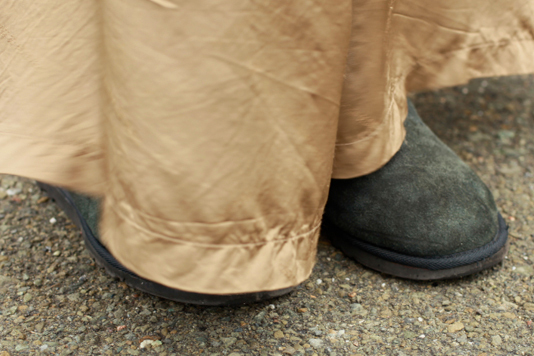 A look at her boots peeking out of the hemline of her long skirt.